FUEL FLOW INDICATOR NO. 2 POINTER DOES NOT INDICATE APPROXIMATE FUEL FLOW CONT. TM 55-1520-240-T 8-16.9 FUEL FLOW INDICATOR NO. 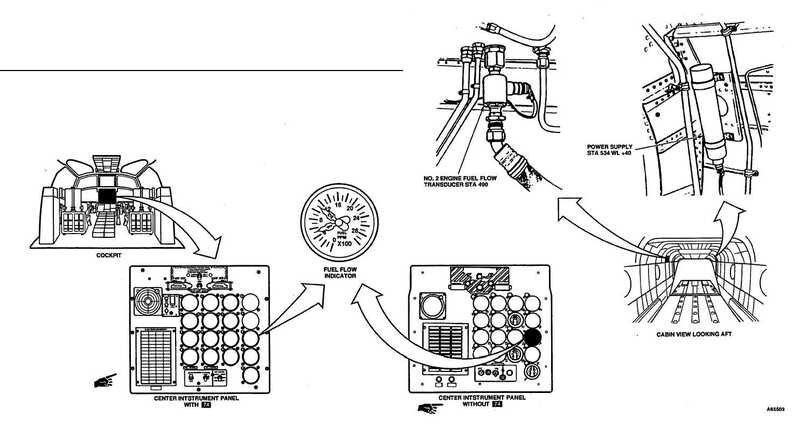 2 POINTER DOES NOT INDICATE APPROXIMATE FUEL FLOW 8-16.9 FAULT ISOLATION PROCEDURE INITIAL SETUP Personnel Required: Applicable Configurations: Aircraft Electrician (2) All References: Tools: TM 55-1520-240-23 Electrical Repairer Tool Kit, Equipment Condition: NSN 5180-00-323-4915 TM 55-1520-240-23: Multimeter Battery Connected Materials: Electrical Power On None Hydraulic Power On GO TO NEXT PAGE 8-362 Change 19 Page 8-361 is a blank page.